After hoisting the Commissioner’s Trophy for the first time in kind of a while last fall, it’s clear that Wrigley Field will never be the same, and high expectations and increased ticket prices aren’t the only things new to the Friendly Confines. 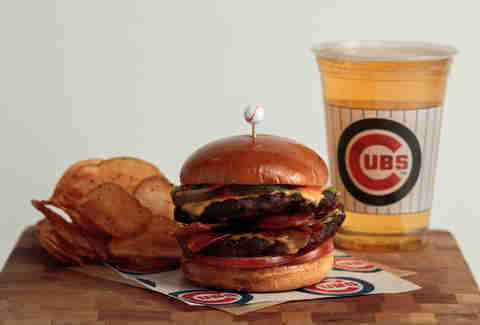 In addition to the unveiling of the glorious new Park at Wrigley and construction of the Hotel Zachary across from the ballpark, here’s everything you need to know about what’s going on this season in the Cubbies food scene, from new additions to all-star standbys. 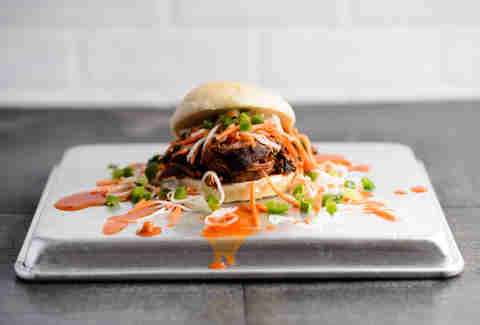 This year’s most talked-about culinary acquisition was sent to the Cubs via Food Network star Jeff Mauro, whose local Pork & Mindy’s restaurant makes its way from Wicker Park to Wrigley with new offerings like Bao to the Pork, a hickory-smoked pulled pork sandwich served on a steamed bao bun with pickled daikon and carrot, cucumbers, and jalapeño relish. Another addition to the fresh lineup of offerings from Pork & Mindy’s is this crispy take on the BLT, featuring “Pig Candy” bacon -- slow smoked, candied, and crunchy -- with lettuce, tomato, dry rub mayo, and balsamic onions served on a buttery brioche bun. You can also order your bacon sans sandwich in the form of Pig Candy bites. 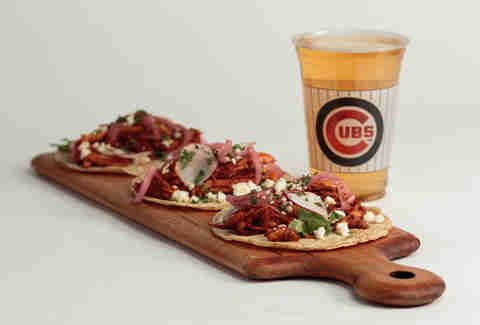 This diner is quickly developing into something of a foodie mecca with an all-pro slate of new offerings this year, including seasoned al pastor chicken tacos topped with pickled red onions, cilantro, sliced radish, and queso fresco. 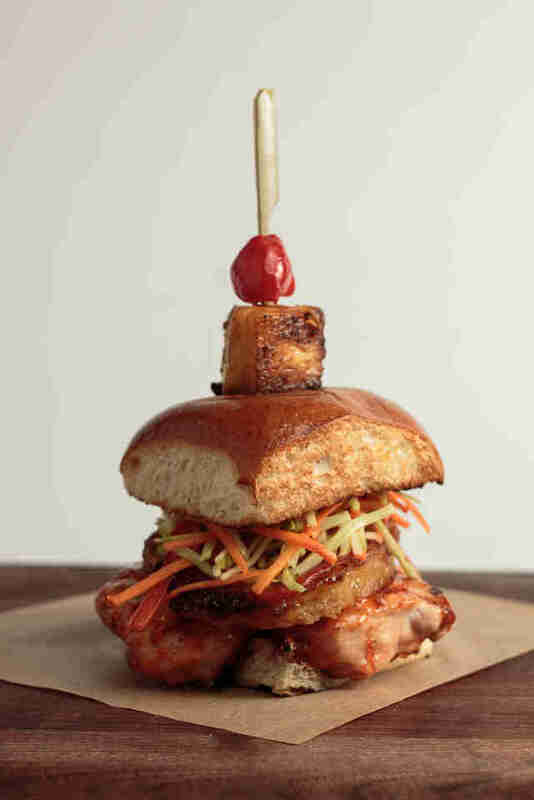 Also attracting its fair share of attention this year is this innovative grilled chicken breast sandwich newbie, topped with sweet chili glaze, Asian slaw, and sautéed pineapple on toasted Hawaiian bread. Instead of a hot dog, you can opt for this new double beef patty stacked with American cheese, Applewood smoked bacon, sliced onions, tomatoes, lettuce, pickle, and Catalina sauce on a toasted brioche bun. 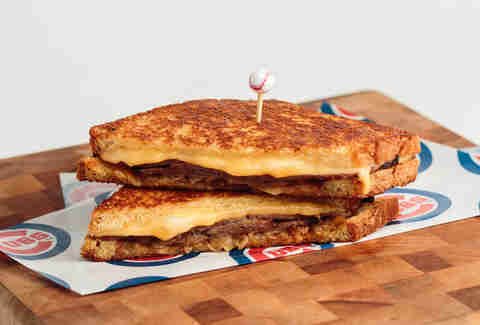 Forget peanuts and Cracker Jacks -- buy yourself a grilled cheese from Marquee Grill made with butterkäse and Cheddar, house-smoked brisket, and caramelized onions. 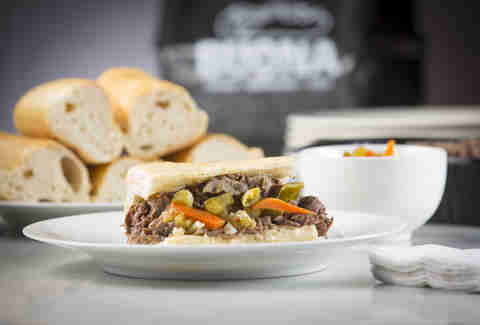 Last year, Buona started serving its iconic beef sandwiches at Wrigley Field. Last year, the Cubs won the World Series. Coincidence? You never know. 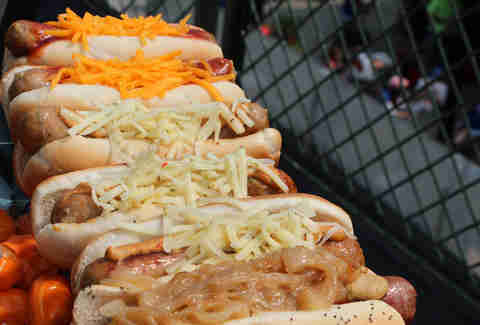 On top of the standout beef sandwiches that greatly enhance any baseball experience (and waistline), you can opt for the delicious sausage sandwiches and meatball subs. 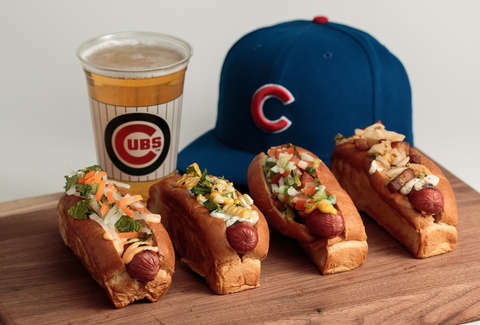 Chicago suffered an almost unimaginable loss when Hot Doug’s closed in 2014, but a year later the beloved hot dog institution came with an outpost at Wrigley, where the Cubs-inspired takes on encased meat rotate regularly. In the Holy Trinity of local Chicago food, there’s Italian beef, hot dogs, and deep dish. 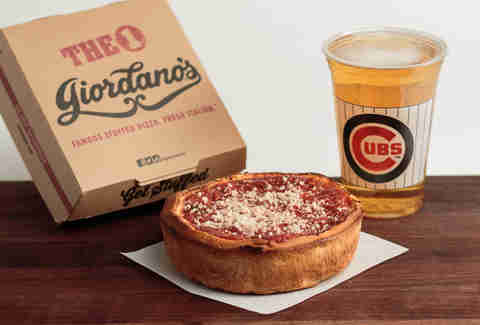 Find the latter at several Giordano’s Pizza Kitchen Stand locations around the park, including a new one near sections 102-104. Jay Gentile is a Thrillist contributor and he will happily take on any writing assignment that includes eating Italian beef at Wrigley. Follow @innerviewmag.